Being cautious does not mean you need to deprive yourself of all sweets. 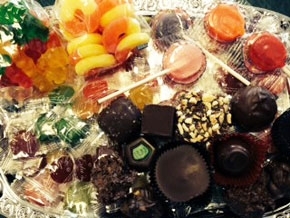 We offer a selection of “no sugar added” chocolate and candies. Diabetics should consult their physician first and intake quantities should be limited. Remember, they can be packaged for you the same way as our regular chocolates.